Donald Trump’s former campaign manager Paul Manafort secretly paid former senior European politicians to lobby for Ukraine’s previous pro-Russia government, a new indictment says. It alleges the group was led by a former European chancellor; ex-Austrian Chancellor Alfred Gusenbauer has denied to the BBC that it was him. The indictment has been brought as part of a US investigation into claims of Russiameddling in the US election. Mr Manafort denies all the charges. His former aide, and Mr Trump’s ex-deputy campaign manager, Rick Gates, has admitted conspiracy and lying to investigators in a plea deal. There are no allegations that either Mr Manafort or Mr Gates colluded with Russiato influence the outcome of the 2016 presidential election, which is the main thrust of US special counsel Robert Mueller’s investigation. Who’s who in Russia scandal? What are the latest allegations against Mr Manafort? Mr Manafort faces new charges of conspiracy, money-laundering, failing to register as an agent for a foreign actor and making false statements. The charges relate to his work for Ukraine’s pro-Russian Party of Regions and its leader Viktor Yanukovych, who was president from 2010 until he was overthrown and fled to Russia following anti-government protests in 2014. Mr Manafort is accused of making tens of millions from an extensive lobbying campaign to bolster the Ukrainian government’s reputation, but he failed to register his work as required by the law and hid the financial proceeds in off-shore accounts. The indictment also details ways in which he allegedly tried to put distance between his lobbying work and its links with Mr Yanukovych. One of those attempts was the creation of a body of ex-European politicians, informally called the Hapsburg Group, to whom he paid over €2m ($2.5m; £1.8m), the indictment says. Mr Manafort has already been charged with multiple counts of tax and bank fraud. What do we know about the Hapsburg Group? Mr Manafort “secretly retained a group of former senior European politicians to take favourable positions to Ukraine, including by lobbying in the United States”, the indictment says. It does not name the members of the Hapsburg group, but says it was managed by a former European chancellor it calls “Foreign Politician A”. The word chancellor is used in various government roles in Europe, but is the title for the head of government in Austria and Germany. There is speculation the former chancellor referred to in the indictment is Alfred Gusenbauer who was Austria’s chancellor from 2007-08. He was listed as an expert with US lobbying firm Mercury, which was revealed in Justice Department filings last year as having been hired by Mr Manafort to lobby on behalf of his Ukrainian interests. The filings also revealed that Mr Gusenbauer met members of Congress in 2013. In a statement to the BBC, Mr Gusenbauer denied any involvement in Mr Manafort’s work in Ukraine but acknowledged he had met Mr Manafort and talked to EU and US politicians. “I always had the point of view that it was important to move Ukraine closer to Europe. It would have been extremely positive – if Ukraine could have agreed. I was talking to EU and US politicians to make that point clear,” he said. “I stopped this activity when I had the impression that Ukraine was moving in the wrong direction,” he added. How many people has Mr Mueller charged? Mr Trump has said there was no collusion. Moscow has rejected US intelligence claims of interference. 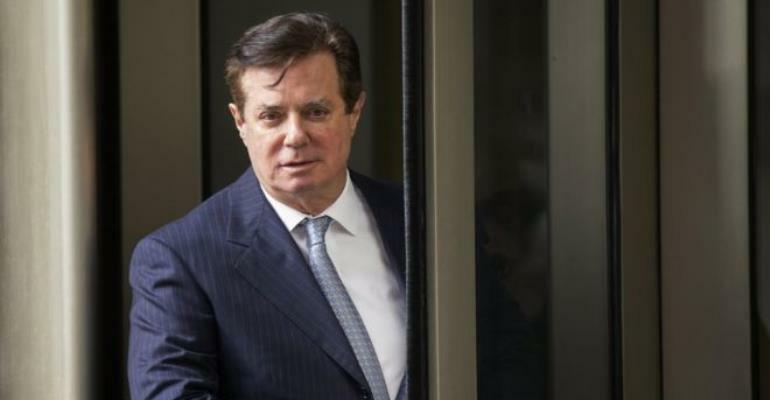 The post Trump-Russia: Manafort ‘paid European ex-politicians’ appeared first on Ghana News .